Dr. Petronic-Rosic is a graduate of the Belgrade University School of Medicine in Belgrade, Serbia, where she completed her dermatovenereology training, as well as a master’s degree in dermatovenereology. She remained as faculty there, before moving to the United States for a dermatopathology fellowship followed by a dermatology residency at Thomas Jefferson University Hospital in Philadelphia and a second dermatopathology fellowship at the University of Chicago Hospitals. 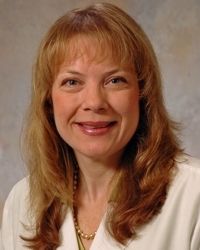 She is Associate Professor of Dermatology and Clinic Director at the University of Chicago Clinics. In addition to membership in the American Academy of Dermatology and the European Academy of Dermatology and Venereology, she is an active member of the Chicago Dermatological Society and the CAP Team Leader for the University of Chicago Medical Center. She also participates as the University of Chicago Celiac Disease Network Expert Dermatologist. Her interests include clinical and cosmetic dermatology, plus dermatopathology.